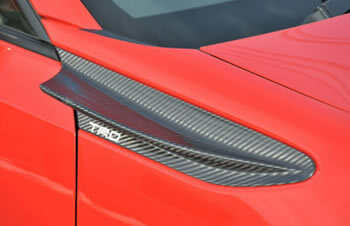 Front Fender Aero Fin will improve straight line and cornering stability by making down force installing to front fender. 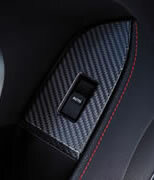 Red color stitched Steering wheel and Interior panel made by carbon fiber, will improve the feel of the material and improve racy feeling of the interior. 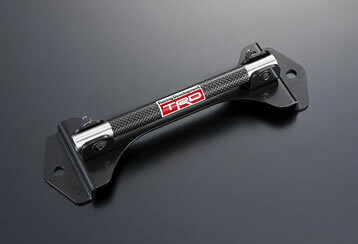 TRD high-performance clutch that efficiently transfers the maximum power generated by the engine. 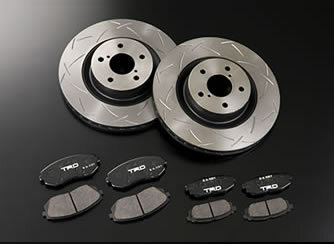 TRD Lightweight Flywheel delivers outstanding engine response and sharp power transfer rise. 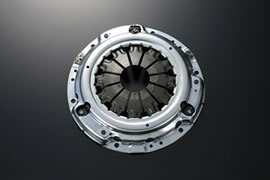 Clutch Cover *1 MT model 31210-ZN600 1 38,000 Genuine shape, suggested to use with 31250-ZN600/610. 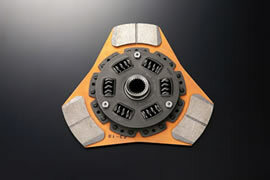 Clutch Disc (Sports Facing) *1 MT model 31250-ZN600 1 30,000 Suggested to use with 31210-ZN600. 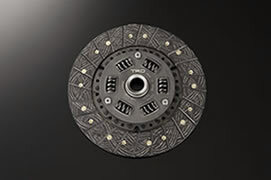 Clutch Disc (Metal Facing) *1 MT model 31250-ZN610 1 33,000 Suggested to use with 31210-ZN600. Light Weight Flywheel *1 MT model 13451-ZN600 1 43,000 Weight 40% lighter than OE, moment of inertia: -40%. 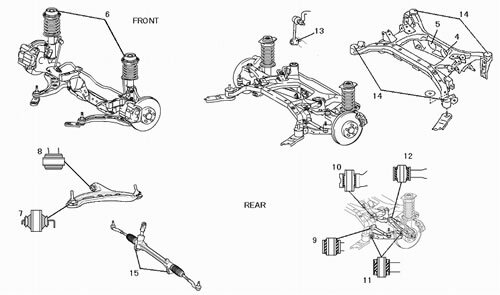 *1 Toyota genuine repair parts is necessary when installation. 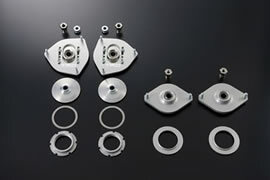 Standard shape brake kit with disc rotor thickness 2 mm increased targeted for track use. 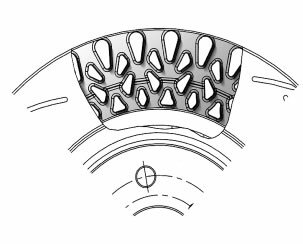 kangaroo Paw shape ventilation design enable to increase the cooling efficiency. 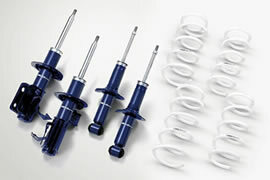 Additional version up parts for Full length Ride adjustment suspension kit (on sale). 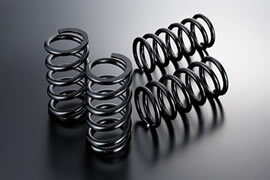 Changing the each rubber insulator to rised hardness insulator will improve vehicle response. 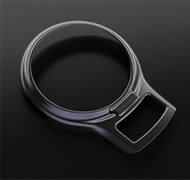 Battery Clamp Except Cold district spec MS326-18001 1 9,000 Carbon fiber shaft for battery fixing. Battery size only for 34B19R. All model - 1 100,000 TRD sports meter kit gives you precise engine condition information during driving. This kit is exclusively designed for 86. *1. 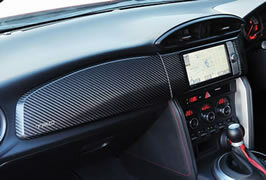 When Sports meter kit is installed, standard 2DIN space for audio and navigation system will be occupied. *2. This parts is for Japan domestic market only. Mechanical 2WAY L.S.D.（Limited Slip Differential） All model 41301-ZN600 1 120,000 Providing excellent vehicle control under a variety of conditions. (3 different sound changer in 1 set) All model MS162-18001 1 2,800 Sound changer allows you the intake sound tuning of standard sound creator. This kit comes with 3 different sound changer. All model Pair set - 368,000 For customer whom looking for better seat holding performance, with reclining mechanism to keep everyday driving comfortable. 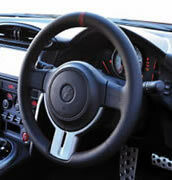 Semi bucket seat MS330-18001 1 160,000 * One-touch reclining mechanism (40-stage adjustment) is equipped. Seat rail (right side) & Side airbag canceller MS331-18001 1 24,000 * Hip point locates almost same position as standard seat. 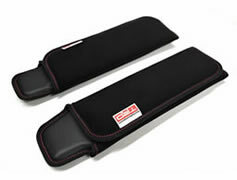 Seat rail (left side) & Side airbag canceller MS331-18002 1 24,000 * Side airbag to be canceled when TRD seat is installed. 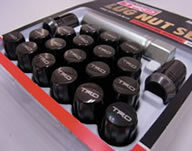 All model MS212-00004 1 20,000 20 pieces of security black chromed nut made by Mac Grad come with TRD logo. 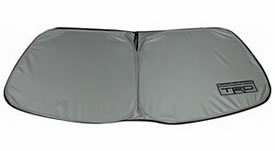 All model MS010-18000 1 7,600 TRD sun shade is exclusively designed for 86 front window. This set comes with special sun shade case. GT-Limited,GT MS010-00010 1 Discontinued New key case is made of real leather. Red stitch adds little spice to its design.